Bill 150: Is it green? Is it democratic? Could you spare a moment to send an email to as many MPPs as possible to stop bill 150? Attached is my critique of Bill 150. It will allow them to destroy the Niagara Escarpment and ruin conservation areas. We will have no way of objecting. We need urgently letters to MPPs from people all across ontario. This is serious denial of civil rights. It has already been pushed through second reading without discussion. Thousands of emails are being sent to MPPs. We need urgent action before further House discussion on Monday. This bill takes away your civil rights to protest any “energy” or infrastructure project. It strips the rights of your municipality to control local planning of where such developments will be sited. It promotes the installation of hundreds of industrial wind turbines across rural Ontario and requires you to pay in your electricity bill the 5 billion dollars needed to connect them all to the grid. (Many observers are calculating a 30% increase in electricity bills just for this). Because the wind turbines are inconsistent and intermittent in their electricity production, new gas plants will have to be built and run inefficiently to “shadow” the wind. You will be required to pay for the construction and operation of these too. In Germany and Denmark, wind turbines have actually increased fossil fuel consumption, have not decreased CO2 emissions and they have the highest electricity rates in Europe. Germans and Danes are very worried about the effect this has on their industry. When electricity costs rise, manufacturers move out. This has already happened in New York State and California. This means even more lost jobs in Ontario’s already hard hit manufacturing sector. Our conservation authorities will now be powerless to prevent large electricity developments within their boundaries. The effect on sensitive natural habitats will be devastating. Our provincial pride, the Niagara Escarpment, a world biosphere will be trashed. It is being opened up to gas and oil pipelines, wind turbines and other “renewable energy projects”, “the generation, transmission and distribution of steam or hot water; telegraph and telephone lines and other cabled services; a public transportation system; licensed broadcasting, receiving and transmitting facilities; or any other similar works or systems necessary to the public interest”. Who’s interest? When a government proposes a piece of legislation, it is critical that it must be reviewed meticulously in committee to discover all the implications for existing legislation, its conformity to societal values, the probable net effect it will have on communities and the economy. Parliamentarians have also to be on the look out for the claims made by those proposing the legislation and the discrepancies found in the small print. Any act of parliament which nullifies certain functions of already existing legislation should be examined very carefully indeed. This bill tampers with a whole string of them. With all the fanfare and the well publicized spin that has preceded Bill 150 in an attempt to sell to the public, one would have thought at least this would be a memorable document, eloquently written, outlining ideals and long term objectives, and full of new ideas and practical innovations that would both inspire Ontarians to commit themselves to conservation and environmental custodianship and provide long term direction for cleaning up the planet. Instead, we have been presented with a distorted, scrappy bit of legislation, most of which is left to undisclosed procedural decisions by the Minister at a later date. What is amply clear is that the Minister of Energy and Infrastructure wants to have the final say in anything that affects electricity projects, town planning, conservation and environmental legislation and citizen participation in decision making. A more cynical observer might even suggest that it is an aggressive move by the Deputy Premier/Minister of Energy/Infrastructure to take over essential aspects of the Environment, Natural Resources, and Municipal Affairs and Housing portfolios. The danger in this, of course, is that the checks and balances built into our system of governance through these four separate ministries are essential to our democratic values and the practical functioning of government. Any proposed legislation has to be scrutinized to make sure that its purported aim is the same as its foreseeable effect. Self-contradictions can indicate motives that are not in the public interest. For example, the government seems to have given little thought about the actual ability of wind turbines to allow Ontario to become less reliant upon fossil-fuel generated electricity. The bill states that one of its purposes is “to fund conservation or renewable energy programs aimed at decreasing the consumption of two or more of the following fuels:” and the list includes coal, and natural gas. The Ministry of Energy is proposing removing all barriers to the rapid and widespread installation of industrial wind turbines across the province. But what has not been discussed is whether the massive installation of commercial wind energy will actually have the claimed effect in lowering greenhouse gas emissions. While the minister never tires of holding up Denmark and Germany as great environmental successes with more wind turbines than anywhere else, there are disturbing reports coming out of both of these countries which are finding that wind turbines don’t lower greenhouse gas emissions. What the public is seldom told is that because of the intermittency and unpredictability of wind, fossil fuel back-up generation is required to maintain grid stability. In effect, this means that electricity consumers pay twice for wind energy. In addition an enormous public subsidy is required to build the new transmission lines from so many widely dispersed wind energy sites. Der Spiegel recently reported that despite all the wind turbines in Germany (more than 20,000) “German CO2 emissions haven’t been reduced by even a single gram” and even the Green Party has recognized the problem. In the U.K., the newly installed wind technology is also backed up by gas. Figures released in November by the OECD indicate that “in the past year alone, prices for electricity and natural gas in the U.K. have risen twice as fast as the European Union average”. Now the British Wind Energy Association has been forced by the Advertising Standards Authority to stop exaggerating by double the amount of carbon dioxide emissions eliminated by using wind turbines. The Ontario Legislature Hansard record from Friday 27 February, 2009: “Hon. Dalton McGuinty: There are a few things that we know, and I said this yesterday but I think it’s worth repeating. With absolute certainly, oil and gas are going to go up in terms of their costs; we know that for sure. We also know that when we buy oil and gas from Alberta, we don’t create any jobs in Ontario whatsoever, but when we invest in our renewables sector and put up those wind turbines, solar farms and biogas operations, that does create jobs here.” He doesn’t seem to get the concept. The government has publicly stated that citizens who object to their “policy” must be silenced. This bill certainly achieves that objective. The surprisingly untidy organization of the act— large sections being no more than a series of amendments to existing legislation– appears to be the result of a random search by government lawyers to disable every statute that might be used to oppose government policy. The result is an unacceptable dismantling of real environmental protection in this province. To refuse public input raises serious questions about the true motivations of the government. Health and safety issues for rural residents living close to wind turbines have arisen in every jurisdiction where they have been installed. Wouldn’t it be expected that a minister overseeing such installations should follow up on the request from a number of Ontario municipalities and county councils for a moratorium on the deployment of industrial wind energy pending proper health studies? The Province of Nova Scotia is now insisting on 1.44 km setbacks from non-participating properties, and 1.2 km for project participants. Why are no similar setbacks mentioned in this bill? How much detail should be left to ministerial procedural decisions? One major shortcoming of the bill is that too many essential details are vaguely left to ministerial decisions on procedure. When government claims that it will make adequate setbacks from peoples homes and regulations to avoid placing wind turbines near sensitive natural habitats, we should be insisting on seeing what those regulations are before passing this bill. The current procedure of rubber stamping proponent dictated environmental assessments and denying public requests to escalate environmental reviews for all 19 wind turbine projects in Ontario has led to inept and destructive siting in important international migratory bird corridors and stopovers. Should costs required for private company profits be passed on to taxpayers? Nicely buried in the bill is the provision that electricity consumers will be expected to pay for the huge additional transmission lines required for renewable energy projects. These additions will cost billons of dollars, not a modest increase on the monthly hydro bill as the minister claims. Undoubtedly, the priority will be to facilitate the transmission of so-called green energy from the widely dispersed rural settings where it is produced to the cities where it is consumed, not to restore the aging infrastructure to homes and businesses across the province. In this way, the bill ensures that private and business electricity consumers will be subsidizing the already heavily subsidized for-profit wind energy producers (often huge oil and gas concerns). Given the doubtful likelihood that commercial wind energy will even substantially cut greenhouse gas emissions, this can hardly be in the pubic interest. Many critics have asserted that it also creates an uneven playing field for conventional energy producers. In fact, pushing reliance on an unpredictable, intermittent, non-base load electricity source will inevitably lead to the same enormous consumer electricity cost increases that have already occurred in other countries which have embarked on such a strategy. Industrialists in Germany are very concerned about their decreasing competitiveness brought about by skyrocketing electricity costs. Danish business is similarly concerned. Jytte Kaad Jensen, chief economist for ELTRA, Denmark’s biggest electricity distributor laments: “In just a few years we’ve gone from some of the cheapest electricity in Europe to some of the most costly.” And the Danish Member of Parliament, Aase Madsen who chairs energy policy admits: “For our industry it has been a terribly expensive disaster”. ideology in energy policy”. Before parliament passes this bill, it must insist on some realistic cost/benefit accounting. We should also be asking how many more jobs will be lost in Ontario because of non-competitive electricity costs. The McGuinty government claims that 50,000 jobs will be created by the Green Energy Act. “Wind farm” maintenance requires only 7 permanent jobs per 199.5 MW, according to Enbridge. Skilled installers are normally supplied by the turbine manufacturers and involve temporary workers often from outside Canada. We have no turbine manufacturing facilities. These jobs are jealously guarded by Germans, Danes, Americans and Spanish industries. However, even these long-established capital intensive manufacturers are now experiencing serious financial setbacks with stagnating order books and the banking system reluctant to supply credit to wind energy projects. Of course we could build the steel towers in Ontario and even the blades, but they are useless without the turbine equipment. Once again, it would be helpful to see some realistic details of the government’s optimistic estimates. But the most serious concerns about Bill 150 relate to duplicitous presentation: it alleges that it is promoting environmental values and postures its concern for the greater good, while in fact, undermining many of the environmental safeguards already in place and removing the right of citizens to have input. It should sound an alarm for everyone interested in maintaining civil rights and anyone genuinely interested in protecting the environment. For environmentalists, there are some very disturbing aspects. In its present form, the bill disables the Conservation Authorities Act, making it impossible for a conservation authority to refuse permission for a renewable energy project except when it “is necessary to do so to control pollution, flooding, erosion or dynamic beaches”; (It scarcely conceivable that this would ever be the case for a wind turbine development). In fact, a conservation authority would no longer be able to impose conditions on the project. This in effect, removes one of our most important safeguards for the protection of Ontario’s sensitive wildlife habitats. Recent long term studies by European biologists have warned of the danger of habitat fragmentation and long term degradation when wind turbine developments are placed near sensitive Natural Heritage Systems and migratory bird and bat corridors. The government makes the vague claim that it will not allow wind turbine developments to be sited near sensitive environmental areas. But their credibility is stretched when Environment Minister Gerretsen’s ministry has already denied citizen requests to escalate environmental reviews for all 19 Ontario wind energy projects—with the result that some of them are already jeopardizing sensitive natural habitat functionality. ­Do we want to dismantle the Niagara Escarpment Plan? Even more shocking for a bill that claims to protect the environment is the devious redefinition of the term “utility” in Appendix 2 of the Niagara Escarpment Plan. Not only does it allow for gas and oil pipelines, wind turbines and other “renewable energy projects commercial or otherwise” along with all their associated infrastructure” to deface and degrade this unique world biosphere; it also opens it up for “the generation, transmission and distribution of steam or hot water; telegraph and telephone lines and other cabled services; a public transportation system; licensed broadcasting, receiving and transmitting facilities; or any other similar works or systems necessary to the public interest”. Would any other country even contemplate so hideous a violation? How could the argument ever be made that such irreversible degradation to one of Ontario’s most outstanding natural assets was “necessary to the public interest”? But by far the most odious section in the bill is the one which removes the rights of local authorities and individual citizens to appeal decisions of the Ministry of Energy when it allows developments in their communities. All residents of this province should be very worried at this aggressive removal of one of our most precious our civil rights—the entitlement of citizens to determine how our local communities will be planned and to challenge the destruction of our natural heritage assets. Under the new act, an Ontario resident would be entitled to a hearing by the Tribunal with respect to “a decision of the Director under section 139 in relation to a renewable energy approval only on the grounds that engaging in the renewable energy project in accordance with the renewable energy approval will cause serious and irreversible harm to plant life, animal life, human health or safety or the natural environment.” Excluded from this list are all the other reasonable claims that might be made such as depreciation of property values, loss of marketability of a house, loss of enjoyment of peace and quiet, loss of quality of recreational facilities etc. “In the case of a hearing required under section 142.1, the holder of the renewable energy approval is a party to the hearing.” This stipulation would inevitably mean the presence of a high powered lawyer acting for the developer with the intent to intimidate and trivialize any complaint. (The OMB hearing at Kincardine required citizens to spend $75,000 of their own money on “experts” in a fruitless attempt to defend their homes. They were not able to afford the fees of a lawyer comparable to that hired by the proponent and their testimony was for the most part belittled by the corporate lawyer as well as the chairman). (3) “The person who required the hearing has the onus of proving that engaging in the renewable energy project in accordance with the renewable energy approval will cause serious and irreversible harm to plant life, animal life, human health or safety or the natural environment”. The irresponsible inclusion of such a principle in an act of parliament would set a totally unacceptable precedent for environmental law in this province. The 1996 Provincial Policy Statement under the Planning Act (which gives Ontario municipalities the responsibility for protecting natural heritage features and areas within a land use planning context) as amended in 2005 insists on quite the reverse principle. It more wisely stipulates that the proponent must demonstrate that a development will have no negative impact on the ecological functions of the habitat. But the present bill would make it impossible for an individual citizen or group of citizens to mount any legal defense against a developer who happens to move into their area. Certainly by now the government has been told enough times that badly sited wind turbine developments have a negative impact on human and animal health. But even if a rural resident could afford legal representation, the contest would be lost before it began since it is very difficult (and costly) to prove long term irreversible medical cause and effect as everyone knows from watching years of litigation against the tobacco industry. Isn’t the place of our government to protect the vulnerability of its citizens? In its present form, Bill 150 has many other shortcomings. 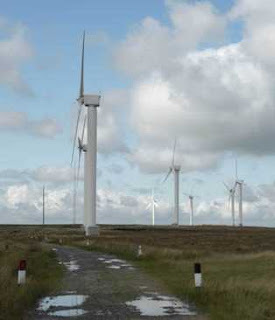 Communities would not even be allowed to learn the proposed location of wind turbines which would be kept “a trade secret or scientific, technical, commercial, financial or labour relations information supplied by the proponent to the Facilitator in confidence, the disclosure of which could reasonably be expected to prejudice significantly the competitive position or interfere significantly with the contractual or other negotiations of a person, group of persons, or organization.” (This line sounds as if it were written by CANWEA). And another civil right is denied in the phrase: “In the event of a conflict between this Act and the Freedom of Information and Protection of Privacy Act, this Act prevails.” The premier and the deputy premier are undoing even the Freedom of Information Act! Undeniably the “green dressing” of this bill requiring government facilities to “ensure the efficient use of energy” at government facilities is positive. But could this not have been done more efficiently in an inter-office memo rather than the expense of an act of parliament? Again, the emphasis on conservation of energy is a reasonable enough goal, but such programs are already in place, although judging from our ever growing energy greed, they certainly need more emphasis. And just what will be the functions of yet another costly bureaucratic operation, the “Renewable Energy Facilitation Office”. What exactly will be the duties of the Ministry employee, the “Renewable Energy Facilitator” other than providing more government jobs? Will she (or more likely he) be looking after the needs of citizens or just developers? It is sad to see so seriously flawed a piece of legislation even being presented to the House for approval. Clearly, it was put together in a rush, and the rush to get it passed into law is intended to prevent public scrutiny. Given the current invective of the government against criticism of its wind energy policy and the regular use of derogatory and belittling terms such as NIMBY for those brave citizens who have the courage to speak out, this bill looks a lot like a vengeful act aimed especially at silencing opposition. When one is aware of the vigorous lobbying that has been done by the wind energy industry explicitly to silence public discussion, and the fact that at least one prominent member of the governing party is himself a wind energy CEO, it is difficult to regard Bill 150 as non-partisan and in the public interest. It should be returned to the government and completely rewritten after wide public consultation, public hearings, health studies on the effects of wind turbines, impact studies on the environment by the turbines themselves and their back up fossil-fuel generation. Information needs to be gathered diligently from the experience of other jurisdictions, especially those in Europe where better protective laws have been passed at the demand of affected citizens. A complete professional cost/benefit analysis on the feasibility of the addition of the proposed amounts of wind energy to the Ontario grid is also a prerequisite before a balanced judgment can be made. The present economic climate requires more than ever, well thought out plans based on more than wind energy proponents’ spin. Please email as many friends and MPPs as possible and express your concern. We urge you to write your local MPP, Minister Smitherman and Premier McGuinty as soon as possible. Call on them to recognize the need for proper environmental assessments for renewable energy projects, to require setbacks to be set by citizens and experts – not the wind industry, and to remove the anti democratic ‘reverse onus’ clause. This is about more than just wind turbines. This is about civil rights and the stewardship of rural Ontario. Toronto Star – Propagandist for the Govt.? If you live in rural Ontario you may want to consider canceling the Toronto Star. They’ll take your money but they won’t recognize you. Response to my letter to the editorial board of the Toronto Star. If you live in the Rural Ontario you count for nothing. The “community” I am referring to is the Star’s community of readers. the community of readers in Toronto and the Greater Toronto area. their prerogative, as it is yours. editorial board as that is certainly not our practise. to reverse its position on this issue at this point in time. the Star’s position on important matters affecting our community. they are never signed by the individuals who write them”. site daily, they have never questioned or requested any changes. I want to know how they came to their conclusions. Editor: The first casualty of war is TRUTH. There is a war being waged against the rights of the citizens of Ontario by the environmental movement and the Toronto Star has become a propagandist for the movement. 1. a person involved in producing or spreading propaganda. 2. a member or agent of a propaganda. I added the name of the writer to this article. Maybe the writer of this piece of propaganda didn’t want her name to be associated with such a piece of trash. I thought Tyler Hamilton (energy writer) could spew some garbage, but Ms. Gillespie has given Mr. Hamilton a new low to strive for. After three years of effort, a $300 million wind farm that would have brought green power to Ontario has been cancelled. This is the latest casualty of a provincial planning process that just isn’t up to the task of ensuring that the best interests of all Ontarians prevail. The province wants the clean energy that comes from projects like wind turbines. So much so that Energy Minister George Smitherman sent a $60 billion plan on how to meet the province’s electricity needs for the next two decades back to the drawing board to get more renewable energy and conservation into the mix. Yet time and time again wind farms and other environmentally worthy projects run into the wall that is Ontario’s outdated, drawn-out planning process. Some manage to make it through. The wind farm planned for a township near Goderich didn’t. The delays in getting through the process are difficult enough – often amounting to millions of wasted dollars – but the real problem comes when someone, and there’s always someone, wants to oppose the project. The NIMBYists are able to use the myriad planning steps – rezoning, official plan amendment, council approval, provincial environmental assessment and the spectre of an appeal to the Ontario Municipal Board – as weapons in their fight. It’s not just wind farms the NIMBYists fight. They also oppose traditional generating stations. That forces Ontario to buy expensive – and often dirty – power from elsewhere. And they fight urban “intensification” in the form of highrise buildings, which help curb sprawl. In some European jurisdictions, municipalities are given the right to say where wind turbines can’t go. But they also have to say where they can go. In Ontario, it’s simply too easy to say no and hope to delay the project long enough that the developers give up and decide to give it a try in someone else’s backyard. The energy minister is right to call for more renewable energy. Now the provincial government must make sure its planning processes support that goal, even if it means someone may have to gaze upon a windmill from the living room window. Editor: In 2006 the IEA stated that peak oil in 5 to 7 years. Nov. 2008 the same IEA says “there is enough of it to supply the world for more than 40 years at current rates of consumption”. This is the same agency that pushed for bio-fuels and now says oops – bad idea. Burning food a bad idea? Depopulation. Another bright idea close the fossil fuel plants and try and run energy systems with wind. Duh! When are we going to start looking after the interests of our own countries and forget about the UN. The UN hates democracy – they love power. What do they want? New World Order, an end to democracy and the ruination of the industrialized world. The present financial crisis was planned just like the one in 1929. Look at the bail-out for what it is-robbery. Peak oil was a scam and so is global warming as is wind energy. They create the crisis and then offer the solution. One scam after the other – slowly moving to a New World Order. They are making their final push right now. Are you ready to give up what’s left of your democracy? “The world is on a course that will lead it ‘from crisis to crisis’ unless governments act immediately to save energy and invest in nuclear and biofuels, the International Energy Agency warned on Tuesday. In an apocalyptic forecast, Claude Mandil, the agency’s executive director, said that our current path ‘may mean skyrocketing prices or more frequent blackouts; can mean more supply disruptions, more meteorological catastrophes – or all these at the same time’. The IEA said that the oilfields on which Europe and the US had come to depend to reduce their reliance on the Organisation of the Petroleum Exporting Countries would peak in the next five to seven years. These include those in Russia, the US, Mexico and Norway. One of the world’s leading authorities on energy supply says the era of cheap oil is over and prices could soon be back up to $100 a barrel. The International Energy Agency (IEA), in its World Energy Outlook for 2008, says prices could soar as high as $200 a barrel by 2030. The immediate risk to supply, it says, is not one of a lack of global resources. Instead, it points to a lack of investment where it is needed. 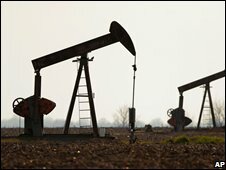 The world, the report’s authors conclude, is not running out of oil just yet – indeed, there is enough of it to supply the world for more than 40 years at current rates of consumption. I’m going to go through this article by Tyler Hamilton and critique it. I’ll include some of my experiences and thoughts as well. My critique will be added in italics. Having spent over two years studying wind farms, having read and studied thousands of pages of documents from around the world, attending many council meetings and an OMB hearing, I believe I’m qualified to discuss the subject in an objective manner. Province wary of small but effective groups as it aims to beef up renewable energy plan. When those complaints don’t stick, they attack the technology as being a fraud. “It does not in reality produce `green’ energy, does not reduce CO2 emissions significantly and is inefficient,” said Beth Harrington, spokesperson for the new coalition and head of the Alliance to Protect Prince Edward County, where several onshore and offshore wind projects are being planned. The increasingly vocal opposition, however small compared to those who more quietly support wind power in Ontario, isn’t lost on the Liberal government, which is counting on new renewable-energy projects as part of a plan to wean the province from coal-fired power generation by 2014. In September, Energy and Infrastructure Minister George Smitherman directed the power authority to beef up an already ambitious renewable-energy plan, much of it dependent on massive new wind farms being erected across the province and on the Great Lakes. This will require a streamlining of rules and regulations so they better balance community concerns with the need to move projects forward, industry observers say. A practical start, some suggest, is to establish environmental pre-screening of projects to weed out the good from the bad. Behind the scenes the government is working on such improvements, sources say, including the creation of a Green Energy Act that would give priority to renewable energy and conservation as the province updates and expands its electricity system. Some have grown impatient. EPCOR Utilities Inc. earlier this month canceled a $300-million wind farm in Goderich. After years of delay, the company said it couldn’t wait any longer for provincial and municipal approvals, which in some cases had been slowed by a handful of protesters. ( I attended many council meetings concerning the Epcor-Kingsbridge ll wind farm near Goderich and I never saw a protester. I did meet people who were lied to in order to construct Kingsbridge l . People who suffered from health, noise and stray voltage problems. I saw Epcor walk out of council meetings twice and say they were done. Why? Because people wanted answers to questions that the wind company couldn’t or refused to answer. They should have left, but the govt. kept saying they would fix things. I saw junk engineering reports – anything to try and ram the project through. I believe there has been a formal complaint lodged because of those engineering reports. We, a small group of dedicated citizens, farmers and landowners, including one dedicated councilor held up Kingsbridge ll for over a year. In that time I witnessed what can only be described as total and complete disrespect for people, their rights, their health, their property and the truth. Epcor recently released a statement stating they were withdrawing from the Kinsbridge ll wind farm because they would be unable to have the project up and operational by Oct.31st. of this year. They had to know that at least a year ago – so what gives? This is speculation on my part, but I believe the Epcor withdrawal will be used as the excuse the govt. has been looking for to bypass local councils. Closer to home, Toronto Hydro got a taste of things to come this week as it considers construction of an offshore wind farm off the Scarborough Bluffs. It was forced on Monday evening to cancel its first community information meeting because more than 400 people showed up – twice as many as the church hall could hold. Nearly 200 people lined up outside were greeted by someone from a group called SOS Windfarms Toronto (the SOS stands for Stop Offshore) who was handing out business cards that promote a website. Along with some valid concerns, the site also contains misleading or wrong information, such as claims that the wind farm is being promoted as the only green solution for Toronto and that 80 years of aviation data show the site is inappropriate for wind generation. (There goes Tyler Hamilton again – describing Keith Stewart of the WWF as an energy expert. Keith Stewart has a PhD in political science from York University, where he studied environmental politics. I see nothing that would suggest he is an energy expert. I thought the focus of the WWF was trying to save the ‘not endangered polar bear’. Maybe Mr. Stewart would be of more use in the high arctic. Stewart said some ecologically sensitive locations are clearly not appropriate for wind farms, and that’s part of the reason why government has to create guidelines. (If Tyler Hamilton, the Govt. or CanWEA think they can subdue the rising state of awareness concerning the reality of wind farms, they are mistaken in their misguided belief, just as they are being dishonest when telling the public that wind farms will significantly cut CO2 emissions or are capable replacing a fossil fuel plant. McGuinty’s plan – 60+ billion for an unstable, overly expensive and is no healthier than the one proposed by myself and accepted as sound by the policy adviser. On the back of the BBC having a go at subsidy wind farms, we now have The Sunday Telegraph joining the battle. This paper is retailing a report from the Renewable Energy Foundation (REF) which asserts that wind is failing to deliver value for money and distorting the development of other renewable energy sources. Furthermore, excessive subsidies make them an expensive and inefficient way of reducing greenhouse gas emissions. The report is actually written by John Constable, of REF, and Robert Barfoot, the chairman of the North Devon branch of the Campaign to Protect Rural England. And even this has a greenie tinge as they say the subsidy scheme is encouraging energy firms to build as many wind farms as possible because it is more profitable than investing in other more expensive forms of renewable technology, such as wave power. Actually, the main problem is that the generosity of the subsidy scheme is diverting cash from investment in longer-term schemes such as nuclear, and also driving generators to invest in increasingly expensive gas, this being the most suitable back-up for wind. the industrialized world, via political pressure and the blocking of opening oil reserves and new nuclear power. Expect massive increases in your electric bill in the very near future. Watch as more and more manufacturing flees North America and heads to China and other Asian countries. While China and others continue to build coal plants – we will rely on expensive intermittent wind and solar for our power. Read the Green Agenda – after which you should be rightfully pissed at your elected officials. 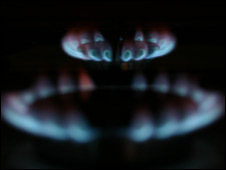 Energy firms E.On and Scottish and Southern Energy are to raise gas and electricity prices by up to 29%. E.On said it would up its gas prices by 26% and electricity bills by 16% on 22 August for domestic customers. February it put up gas bills by 15% and electricity tariffs by 9.7%. were built, this would not be the end of the matter. Britain would still require a considerable back-up of conventional electricity-generating capacity because the turbines would frequently produce no electricity at all, given the fluctuation in wind speeds. Paul Golby, Chief Executive of E.ON UK, has said that this back-up capacity would have to amount to 90% of the capacity of the wind turbines, if supplies were to be reliable. This would be an absurd, and costly, misallocation of resources, with the extra costs falling on households and businesses. But, costs apart, there is yet another problem. And that is whether the necessary back-up capacity is likely to be available. The current Government has woefully neglected Britain’s energy infrastructure, and much of Britain’s current electricity-generating capacity is due for closure over the next 10 to 15 years. Most of Britain’s ageing nuclear power stations are due to be decommissioned, and half of Britain’s coal-fired power stations are due to be retired because of the EU’s Large Combustion Power Directive (concerned with controlling emissions of, for example, sulphur dioxide and nitrogen oxides). Under these circumstances, there is a very real risk that there will not be adequate conventional back-up capacity despite the Government’s welcome acceptance of the need for nuclear power (there will inevitably be delays in construction) and the operation of new gas-fired capacity (which, incidentally, makes Britain unduly dependent on imports, as our own supplies are dwindling fast). The prospect of power cuts is, therefore, all too real. Brutally, the lights could go out, and business and the public services, now so dependent on computers, would suffer. The folly of putting so many eggs in the basket of wind power is the height of irresponsibility. The Government’s ‘dash for wind’ in order to develop a “low-carbon economy” is, of course, part of its climate-change policy of cutting carbon emissions in order to “combat global warming”. Any expansion of nuclear power would also curtail carbon emissions, and, indeed, if one believes that a low-carbon economy is a good idea (perhaps for security reasons as well as ‘saving the planet’), one might ask why not allocate far more resources to nuclear power and far fewer to renewables. Alas, this would not be permitted under the EU’s 2008 Renewables Directive. (1) Under this Directive, the UK has agreed to meet 15% of its energy consumption from renewable sources by 2020. Whilst renewables include biomass, solar power, wind, wave/tide, and hydroelectricity, nuclear power is excluded. Insofar as the Renewables Directive is part of the EU’s policy of cutting carbon dioxide emissions by 20% by 2020 compared with 1990, this is perverse to say the least. Whilst the UK has a 15% renewables target for 2020, just 1.5% of energy consumption was met by permissible renewables in 2006. (2) The UK has committed itself, therefore, to increase its renewables share ten-fold by 2020. With the possible exceptions of Malta and Luxembourg, the UK is faced with by far the greatest challenge in reaching its 2020 target. In addition, the unit costs in the UK are relatively high because Britain lacks access to cheap biomass resources in the electricity and heat sectors, and is placing greater reliance on high cost, expensive electricity technologies, such as wind (mainly) and wave/tidal. By contrast several EU countries are well-placed, including Austria, Finland, and Sweden, as are many of the central and eastern European countries. It is, therefore, unsurprising that the UK is likely to carry a disproportionate burden of the costs of meeting the EU’s 2020 renewables target. According to a study by Pöyry Energy Consulting, the UK could carry around 20-25% of the total EU costs. (3) Pöyry has estimated that the annual cost in 2020 could be around £150 to £200 per UK household, and the lifetime costs up to 2020 would be £1,800, even as high as £2,800, per UK household. These are significant sums, and they are likely to be under-estimates. Given my earlier comment that the Government’s plans for 7,000 wind turbines will not be achieved by 2020, there is no chance that we will meet the renewables target. (And, in any case, 7,000 turbines, even if built, are apparently inadequate for Britain to meet the 15% target.) The Government is living in fantasy-land – but it seems hell-bent on pursuing an energy policy which will be costly, will dangerously distort energy policy, and will leave the country vulnerable to black-outs. Even if the lights stay on, it is clear that the Government’s current strategy will lead to higher and less competitive energy prices in Britain, other things being equal. For households, especially low income and pensioner households, this will bite into general living standards. Businesses, especially energy intensive industries, will continue to lose competitiveness and will migrate overseas to, say, India or China. The Energy Intensive Users Group (EIUG) estimates that various ‘green measures’ (the Renewables Obligation, the Climate Change Levy, and the costs of the EU’s Emissions Trading Scheme) already account for a quarter of total energy costs for their members. The situation will surely deteriorate. Britain’s chemicals, cement, and steel industries, to name but three, are likely to shrink, jobs will be lost, and the balance of payments will deteriorate. You are currently browsing the archives for the energy policy category.